Bhagwan Rajneesh chose Ma Anand Sheela as his closest confidant, thinking she would lead his followers down the path of righteousness. Instead, she led them down a path of sheer destruction. Rainer Binder/ullstein bild via Getty ImagesA Rajneeshee meditation service. If you build it, they will come. And come they did. 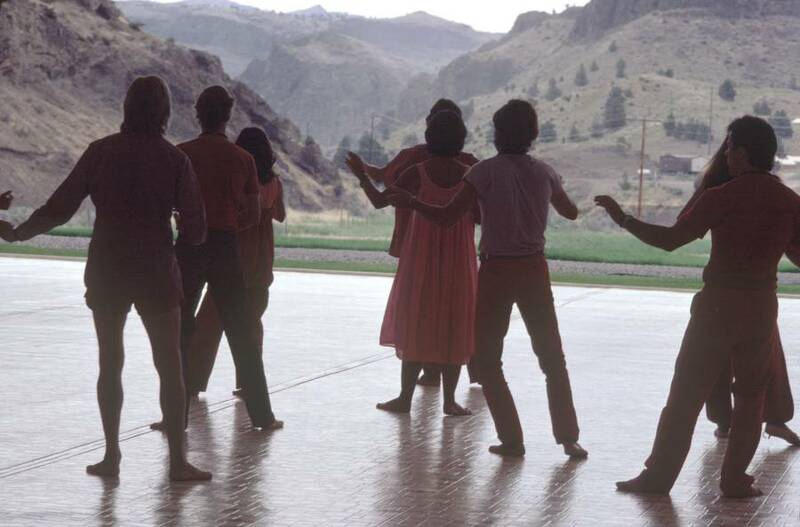 In 1981, a hoard of outsiders descended upon a sleepy Oregon town, all dressed in red and preaching free love. From nothing, they built everything, creating their own sustainable town in a desert plain. A town that would find itself at the center of mayhem, when the devoted followers of Indian mystic Bhagwan Shree Rajneesh would carry out the largest bioterror attack that the United States had ever seen. Several years before the mass influx of cult members, Bhagwan Shree Rajneesh was the target of an assassination attempt. After a knife was thrown at him, as he was preaching to his followers, he realized it was time to leave India. The ashram at which he had cultivated his spiritual movement, run with his particular brand of “capitalism, meditation, ethnic and dirty jokes, and open sexuality,” was no longer safe for the over 30,000 Rajneeshees who visited it every year. So, he turned to his most trusted advisor, the young and devoted Sheela Birnstiel, known as Ma Anand Sheela. Find him a place, he asked her, where he could lead his movement free from judgment, where his followers could live in peace, and where he could build his utopia. With her husband Marc Silverman, Sheela began searching for a place and before long she had found it. A 64,000-acre plot of land, a patch of desert in the northwest area of the United States. Together, the Rajneeshee pooled their finances, uprooted their lives, and moved halfway around the world to their ranch, which they named Rajneeshpuram, in the heart of Antelope, Ore.
Matthew NAYTHONS/Gamma-Rapho via Getty ImagesBhagwan Shree Rajneesh arriving in Oregon. For most of the followers, it was their first time in the states. Half of them didn’t even know where Oregon was, let alone where the tiny town of Antelope fell within it. But Sheela knew, as soon as she saw the plain, that isolated or not, this was the utopia Rajneesh had dreamed of. When they arrived, the land was effectively a desert, a flat wasteland of brown dirt. Sheela rallied the Rajneeshee, urging them to band together and create the utopia that Rajneesh expected. When he arrived in several weeks, she wanted everything to be perfect. 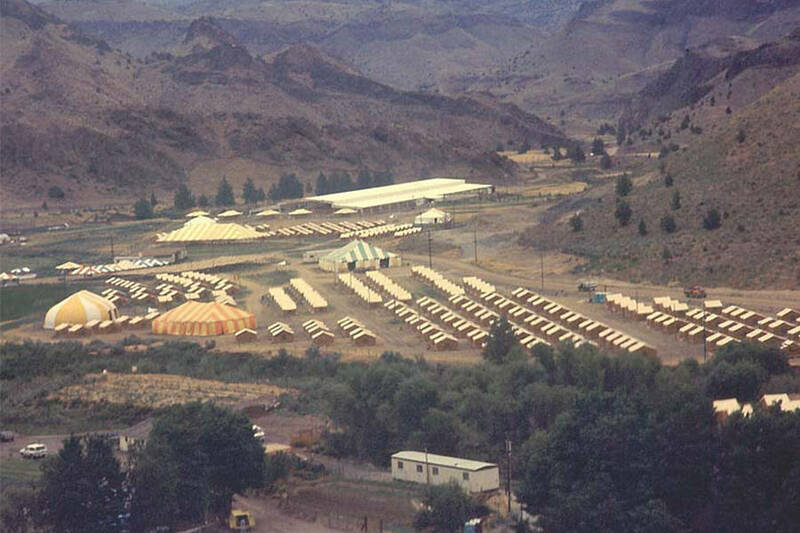 Wikimedia CommonsAn aerial view of Rajneeshpuram commune, in Antelope. And so, the Rajneeshee built it. They built it from the ground up – power, plumbing, roads. Then a shopping mall, an airport, a pizza parlor and a 10,000 person meditation building. They even had their own zip code. An environmentally sustainable farm followed, complete with solar power, irrigation, and check dams. They turned the desert green, bringing wildlife back to the plains, and created a lush oasis. 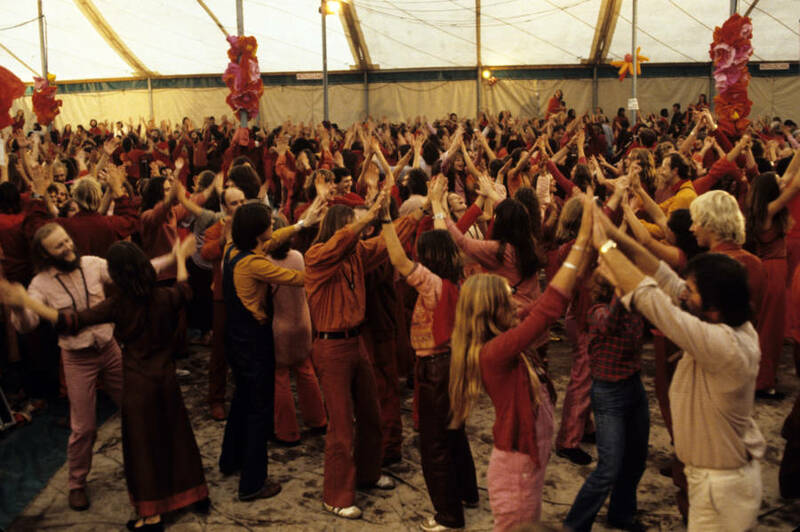 From the wasteland that was the Oregon desert, the followers of Bhagwan Rajneesh built their own Shangri-la. “They should have offered us a Nobel prize,” Sheela said. NetflixRajneesh’s right hand woman, Ma Anand Sheela. In interviews conducted years after the cult had faded from the spotlight, it is abundantly clear that while the Rajneeshee followed Bhagwan Rajneesh, the true mastermind behind the group was Sheela. 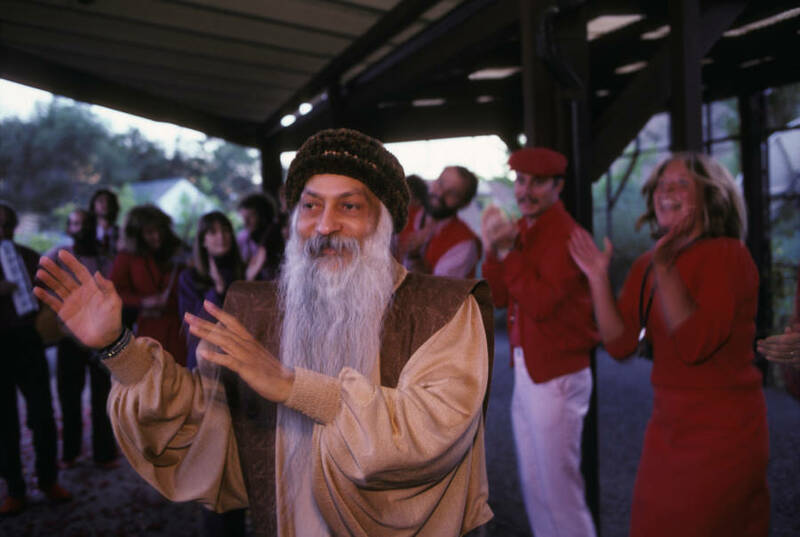 Reports indicate that Rajneesh was obsessed with the finer things in life, becoming the owner of the world’s largest collection of Rolls Royces, and indulging in multi-million dollar jewels. He would take money from his followers, “donations” to his cause, and use them on himself. Sheela, on the other hand, was power hungry. Not concerning herself with material things, Sheela threw herself into building her utopia, her Shangri-la, her town in the desert, touting a belief in Rajneesh, but embodying the spirit of a leader herself. While the Rajneeshee were preparing for their mystical leader’s arrival, and Sheela was driving them into excess, the native residents of Antelope were becoming restless. Antelope was a small community, of about 40 people. Most were hunters and ranchers, who had lived in the town their entire lives. They were, for the most part, conservatives. Given its secluded location, the people of Antelope weren’t used to outsiders. They especially weren’t used to 7,000 of them, all dressed in red, playing music and preaching free love and open sexual relationships. Before long, their welcoming, albeit hesitant, attitude had turned completely volatile. Francois LE DIASCORN/Gamma-Rapho via Getty Images Rajneeshees doing morning exercises in Antelope. A hunting magazine declared “open season” on the Rajneeshee, and locals began referring to them as Red Vermin, or Red Rats. Not helping the situation was the fact that the Rajneeshee had taken to patrolling the perimeter of their commune with machine guns and armored cars. As the local’s hatred toward the Rajneeshee built, so did the Rajneeshees hatred of the locals. 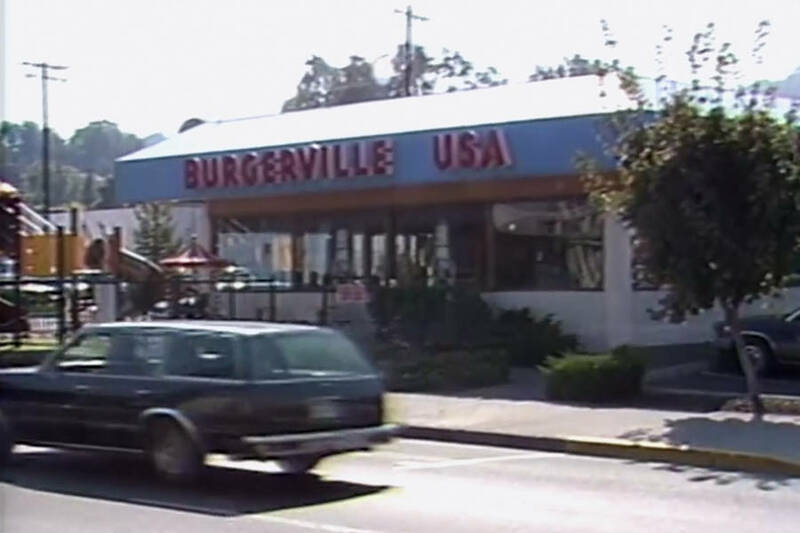 Eventually, the Rajneeshee overpowered the residents of Antelope, and several other towns, promptly renaming it Rajneesh. When Sheela announced that the Rajneeshee had plans to build a city on a mountain, in 1984 the state intervened, denying the permits. In retaliation, Sheela announced plans to place Rajneeshee in the state legislature, bussing in several thousand homeless people from nearby areas to vote for her appointee. Her plan failed, as the state wouldn’t let the homeless people vote, but Sheela was undeterred. If her people couldn’t vote, she would make sure no one could. As the election loomed closer, Sheela drew a small group of people into her inner circle and turned one of the buildings on the compound into a bio-lab. There, she and her team created a deadly toxin, which they called ‘salsa’ – a liquidy brown sludge contaminated with toxic levels of salmonella. Over several weeks, the cult contaminated 10 local restaurants with their salmonella salsa, spraying it on salad bars, the salsa bars of taco restaurants, fruits, vegetables, and even dumping it in water. Matthew NAYTHONS/Gamma-Rapho via Getty ImagesMembers of the Oregon commune, welcoming new members into their community. The result was a state-wide epidemic, the largest bioterror attack that the United States had ever seen. Over 700 people fell ill, 45 were hospitalized, and though no one died, it could have been much worse. When investigators later raided the compound, they found the makings of Salmonella typhi, typhoid fever. Had their plans escalated, it would have been disastrous. The outbreak of salmonella was originally attributed to workers mishandling the food. However, several legislators became suspicious of Sheela and her relentless patriotism for her commune. Though they had no evidence, they believed she could have been involved in what they were now calling an act of bioterrorism. 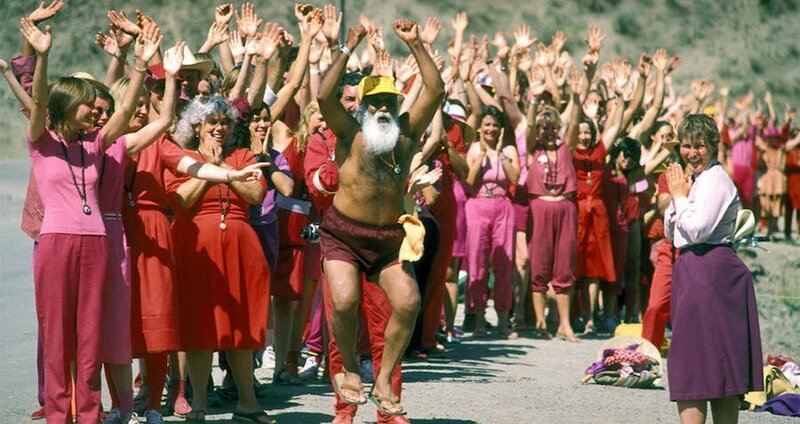 In response to the allegations, thousands of people turned out to vote against Rajneesh and his followers, determined to push them back to the limits of their commune, and possibly farther away than that. To everyone’s surprise, within a year, Rajneesh himself was ridding himself of the commune, and fleeing the U.S. altogether. In 1895, after pleading guilty to entering the country without a visa, Bhagwan Rajneesh fled the commune. He called his followers a “gang of fascists,” openly blaming Sheela for the bioterrorism attack. It wasn’t until then that the government conducted a full investigation and realized the extent of the crimes that Sheela was planning. Within the compound, there was evidence of several more biological weapons, and a detailed plan to assassinate Charles Turner, a U.S. attorney in Oregon. As hundreds of the Rajneeshee fled, others simply wondered how the peaceful, loving, expressive group they had joined had gone so wrong. Armed with the evidence from the compound, Ma Anand Sheela was arrested and brought to trial. She was sentenced to 20 years in prison for her crimes but released after 39 months. 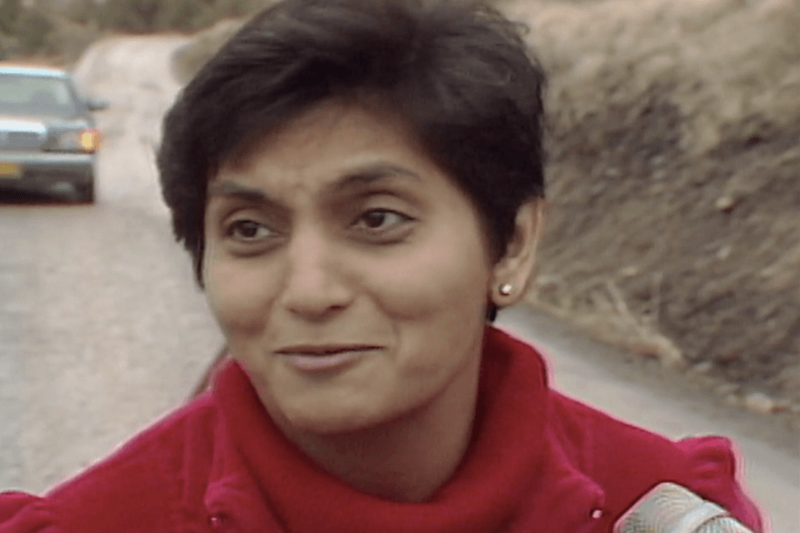 Ma Anand Sheela claims, to this day, from her home in Switzerland, that she acted at the behest of Rajneesh, that she was in love Rajneesh, and that everything she did was in the interest of Rajneesh. Interviews show a woman desperate to be understood, unrepentant for her crimes, and steadfast in her belief that in the end, everything she did was done with the best of intentions. 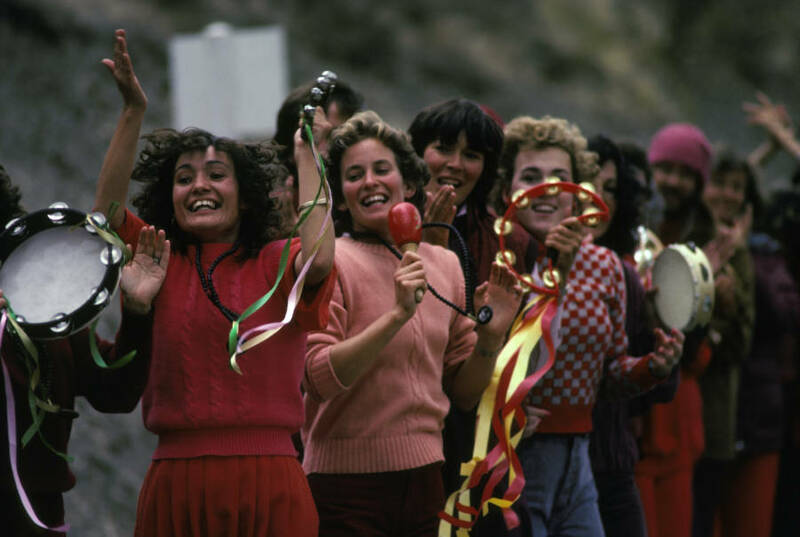 Next, check out these five insane cults from around the world that are still active today. Then read about the Chldren of God, a cult that encouraged sexual abuse of children.